Right now, get SWTP's online practice exams at a reduced price. Just $39. Get additional savings when buying more than one exam at a time--less than $30 per exam! Sign up to receive our free study guide and get started! 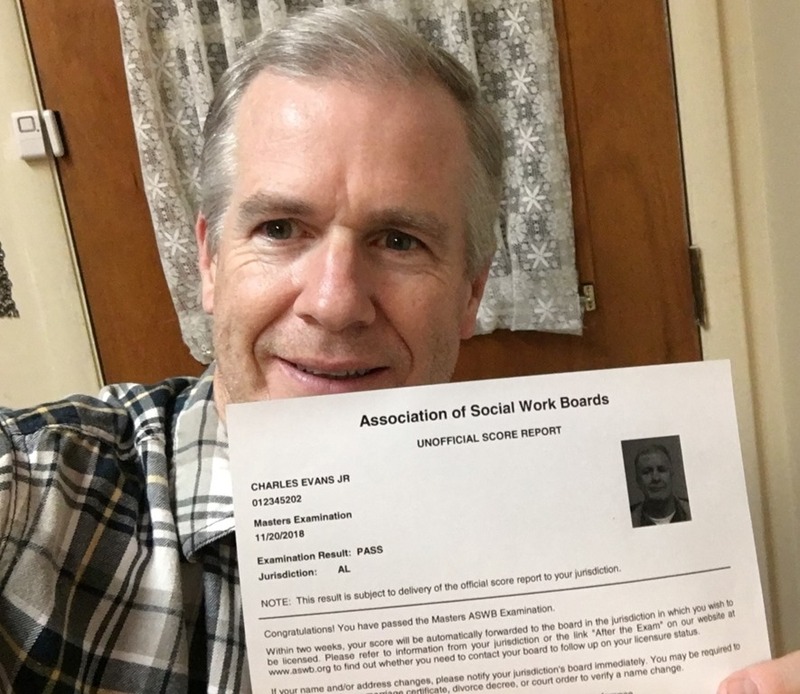 "Without SWTP, I wouldn't have passed. SWTP allowed me to understand how the questions were presented, and gave me a better understanding on how to prepare for exam!" 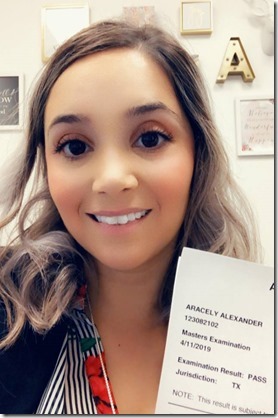 Congratulations, Aracely! Great to hear SWTP was a help. Sign up to get started with our free study guide and our full-length practice tests. Sitting down for 170-question, four-hour practice tests is the best thing we know to help get you ready for the experience of taking--and passing--the social work licensing exam. Good luck! Here's a five-question mini-exam via YouTube which designed to help you get you for the ASWB Masters exam. (Of course, it will be helpful for prep at any exam level.) The questions in the video haven't appeared anywhere on SWTP yet. Maybe we'll take them one at a time here on the blog over time. For now, this is where to get them. Hit play, sit back, get practice, get licensed. "SWTP and trust in myself were critical to passing my exam. This has been a long time coming for me. Passing on my first try was such a relief and a giant weight off my shoulders. I graduated Dec 21, 2018. Taking my test in my last semester really enhanced my job hunting journey. I start my first social work job on Feb 8!" Looking forward to seeing your pass-sheet selfie soon. "Thank you for the test preparation. I passed on my first try and couldn't have done it without tons of practice. The information attached with each question helped as well! 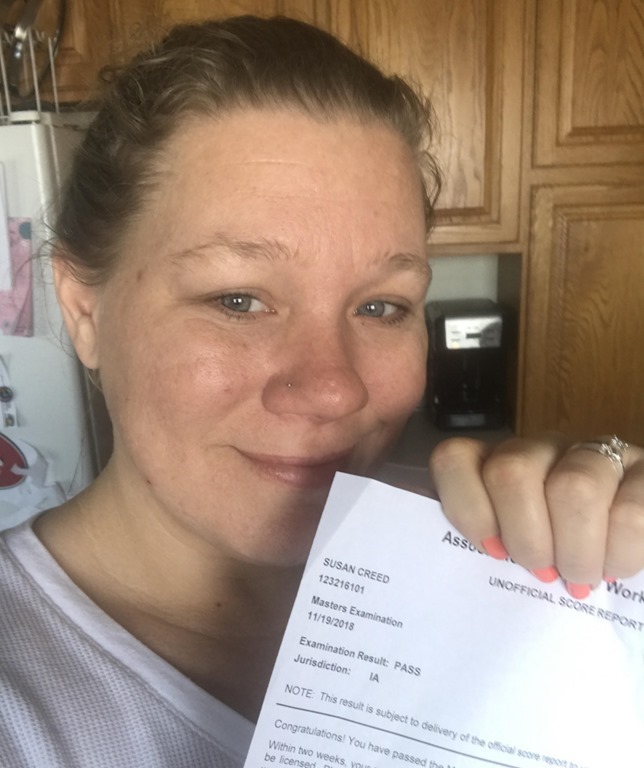 I'm officially a LMSW!" Pretty sure there's a smile hiding behind that LMSW pass sheet. Start working toward your smile-hiding pass sheet now and save with holiday coupon HAPPY2018. Sign up to get started. We'll send you our free study guide when you confirm your account. Happy studying, happy holidays, and good luck on the exam. Looking forward to seeing your celebratory selfie soon! What do you want this holiday season? Maybe a social work license? Or the promise, due to the studying you're squeezing in, of a social work license coming soon? If you're ready, we're here to help. Chuck aced the exam. So can you. Sign up to get started. Looking forward to seeing your face up here, posed with your pass sheet, soon! 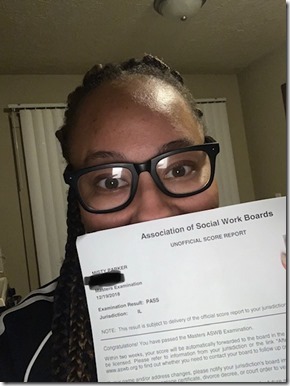 Social Work Test Prep, LLC Pass the social work licensing exam with realistic practice. Full-length SWTP practice tests have helped thousands with the ASWB Bachelors, Masters, Advanced Generalist, and Clinical exams. 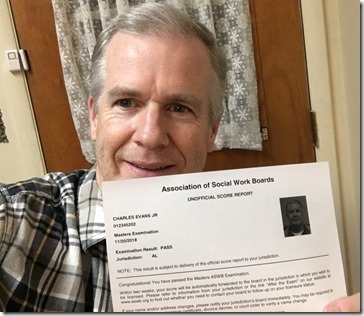 Pass the LCSW, LMSW, LICSW, LGSW, and LSW exam. Connect with a study group or tutoring by an experienced tutor. Free practice test, free study guide with sign up. Get practice, get licensed!